Hansen 6 month – It Works For Bobbi! 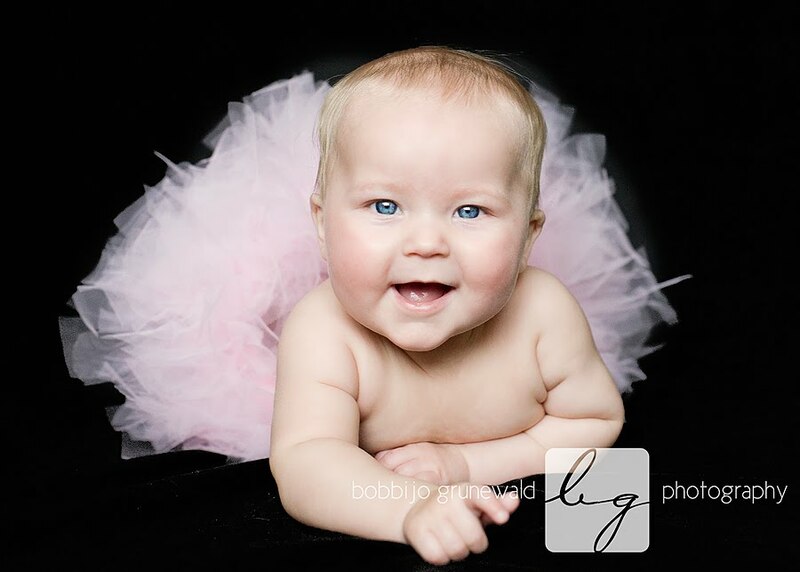 Published on January 27, 2010 August 9, 2016 by Bobbi-Jo G.
Meet the sweetest, smiliest six month old around! This little gal was such a doll and a total pleasure to photograph. She was definitely a mama’s girl! 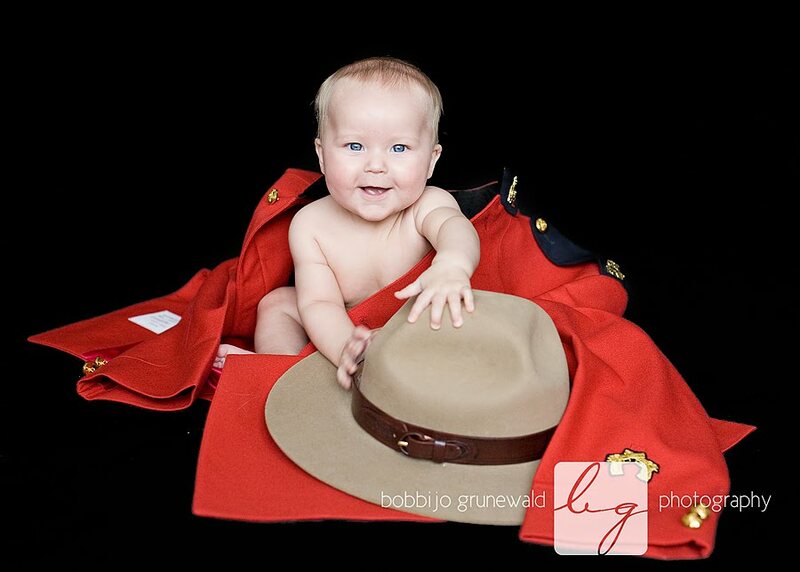 Though she did have a thing for her daddy’s RCMP clothes! And that’s not the ‘end’ for these folks! 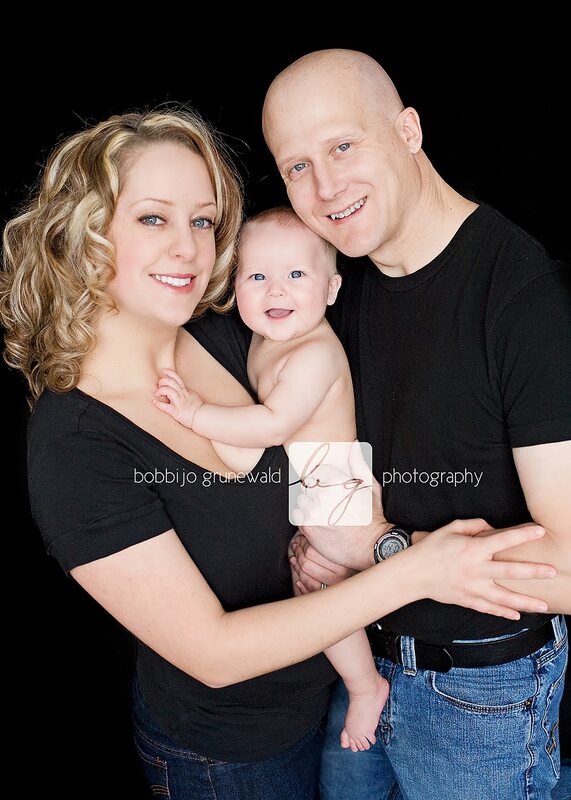 This was just a small sampling of the dozens of photos they’ll be receiving on their photo CD. Hope they enjoy! And don’t forget to enter my photography session giveaway! You’ll be receiving 50% off a session of your choice – up to a $175 value! Enter by visiting my facebook photography page, leaving a comment or a review! The draw will take place on Monday – good luck! Next Thai Tom YUM Soup! 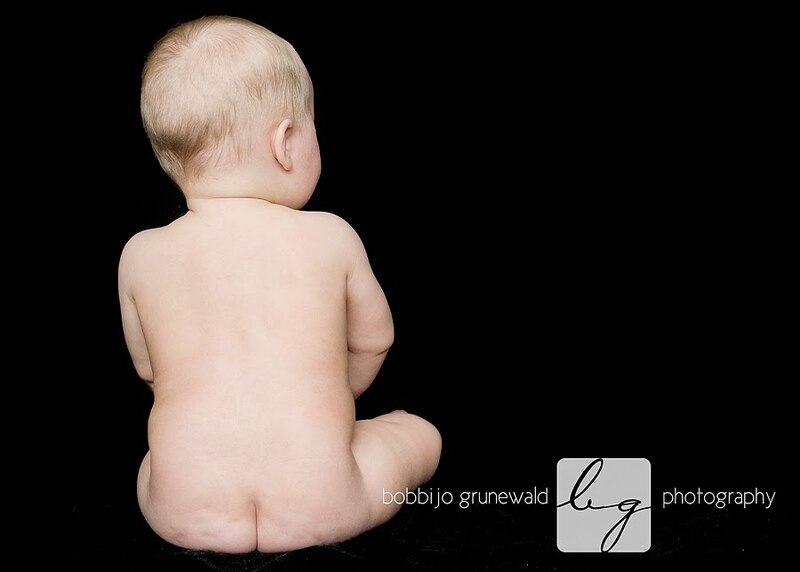 love that little bum shot! How do you get your true black background, and what lighting do you use for these shots! Those are very adorable pictures. I only wish we lived in Regina or you lived in Montreal so I could take advantage of your talents! As always your photos are AWESOME!!!! What I would give to have your talent. Oh and just so you know, my 6 month old does not like to smile for the camera. You are going to have to bring all your best funny faces.